AKIPRESS.COM - Sea ice north of Greenland - some of the oldest and thickest in the Arctic - has broken up for the second time this year, a phenomenon never seen before, Sky News reports. 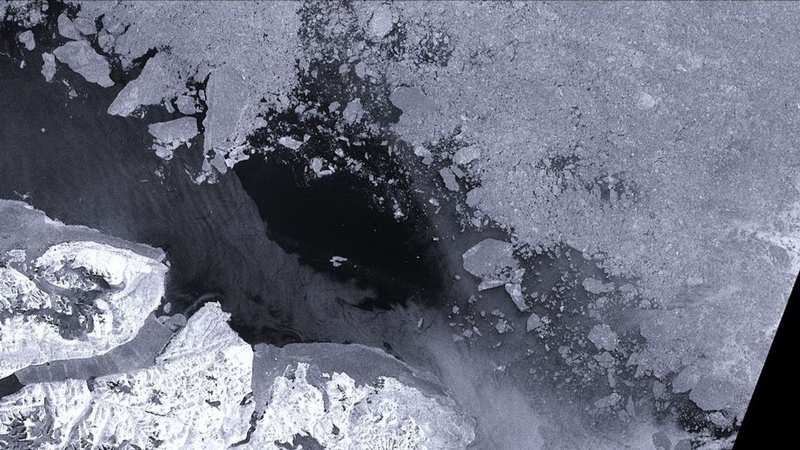 Satellite images show ice melting around the coast of the island closest to the North Pole, opening up waters that are usually frozen, even in summer. One meteorologist said the loss of ice was "scary". Rasmus Tage Tonboe, a sea ice expert from the Danish Meteorological Society, told Sky News: "Right now, the sea ice in the Arctic is near its annual minimum, it is melting. "But this year sea ice north of Greenland, which is normally the thickest and most robust, has retreated from the coast in quite broad band of open water. "The first event happened in February when the temperatures were very high and the water was blowing away from the coast and created open water areas. "We have not seen open water of this extent since we began satellite recording of this 40 years ago." He added that the ice froze back over after the February defrost, but was much thinner than it had been.